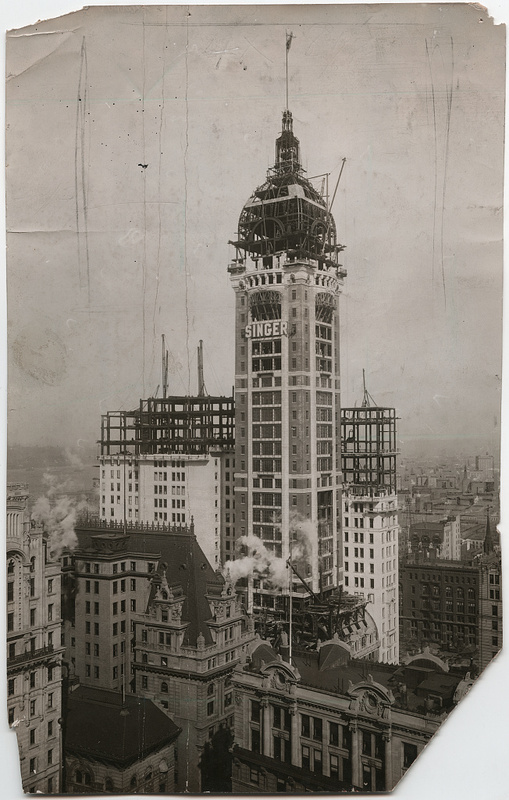 The Singer Building, razed in 1967, remains the world’s largest structure to be intentionally demolished. 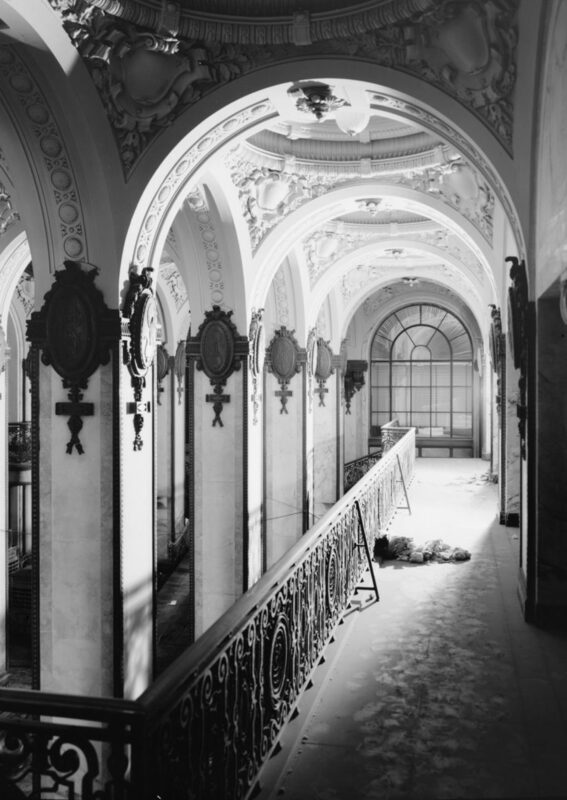 The Singer Building was never designated a New York City Landmark by the New York City Landmarks Preservation Commission and was demolished.
. Also available online at Hathi Trust Digital Library. Singer Building, 149 Broadway, New York. Longitudinal section of tower. Christopher Gray, “STREETSCAPES/Singer Building; Once the Tallest Building, But Since 1967 a Ghost,” The New York Times, 2 January 2005. ”Already Highest Structure In the World,” The New York Times, 25 August 1907. Joseph P. Fried, “End of Skyscraper: Daring in ’08, Obscure in ’68,” The New York Times, 27 March 1968. Joseph P. Fried, “Landmark on Lower Broadway to Go: End Near for Singer Building, A Forerunner of Skyscrapers,” The New York Times, 22 August 1967. “Presented by The Skyscraper Museum,” The Skyscraper Museum, 23 February 2016. Robert A. M. Stern, Thomas Mellins, and David Fishman, New York 1960: Architecture and Urbanism between the Second World War and the Bicentennial (New York: The Monacelli Press, 1997), pages 1126-27. Robert A. M. Stern, Thomas Mellins, and David Fishman, New York 1960: Architecture and Urbanism between the Second World War and the Bicentennial (New York: The Monacelli Press, 1997), page 1126. Anthony C. Wood, Preserving New York: Winning the Right to Protect a City’s Landmarks (New York: Routledge, 2008), page 373. Robert A. M. Stern, Thomas Mellins, and David Fishman, New York 1960: Architecture and Urbanism between the Second World War and the Bicentennial (New York: The Monacelli Press, 1997), page 1127.